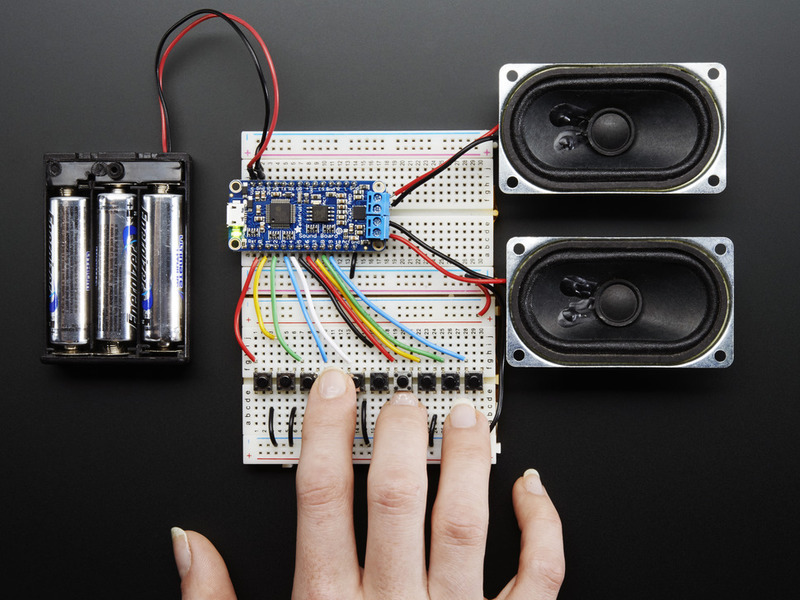 NEW GUIDE: Adafruit Audio FX Sound Board @Adafruit Learning System « Adafruit Industries – Makers, hackers, artists, designers and engineers! Now covers the new Amplifierl-Inside version of the sound board! Don’t get me wrong, I love the MP3 Music Maker shield, and our Wave Shield is a dependable classic. But you still need to get an Arduino involved. There’s all sorts of tricks with ISD chips or recordable greeting cards, but they never sound any good. So after a lot of engineering and tinkering we’ve come out with the Adafruit Sound Board, the easiest way ever to add audio effects to a project!